AUTOSTEM PI Chiara Gentili and her group at the University of Genoa featured in the July 2018 communication publication Ricerca & Innovazione. 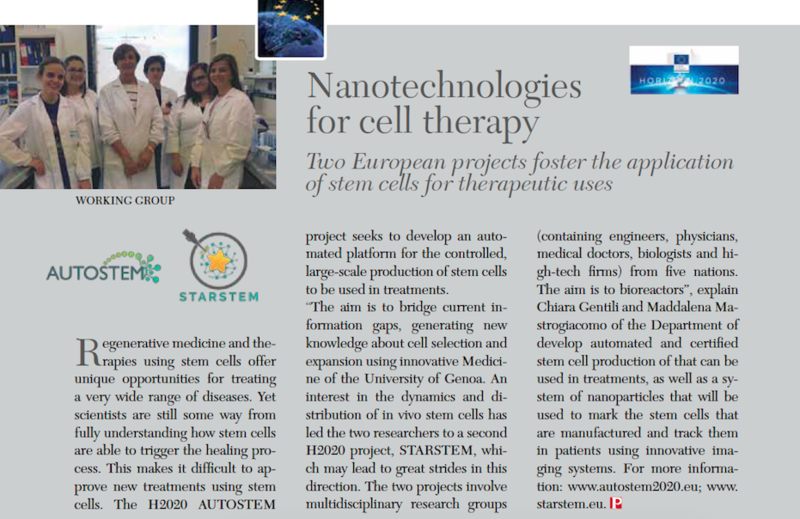 The story, “Nanotechnologies for Cell Therapy” appears on page 114, and describes AUTOSTEM and also STARSTEM, a recently funded Horizon 2020 project. View the entire publication here in Italian. Read the English version of the story here.